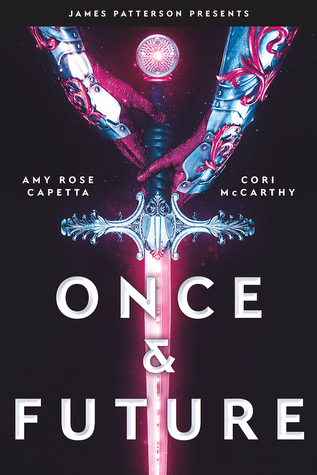 We welcome Cori McCarthy (Winter ‘11) and Amy Rose Capetta (Winter ‘12) to the blog to talk about their new YA book, Once & Future, out on March 27, 2019 from Jimmy Patterson/Little Brown. 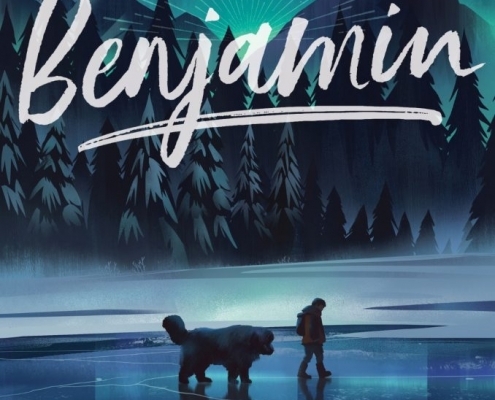 A fantasy/sci-fi/queer retelling of King Arthur, the book has already garnered several starred reviews from Publishers Weekly, Kirkus, and School Library Journal. We got the chance to talk with Cori McCarthy about Once & Future and VCFA life. 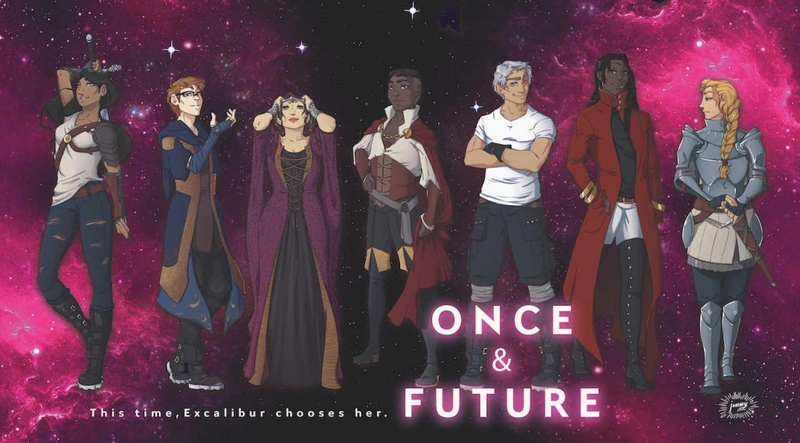 Once & Future seems to combine a lot of the things you both love: queer characters, sci-fi, and fantasy. What other elements in the book are you especially excited about? Amy Rose and I were particularly stoked to write an ensemble cast in this book. We’ve always loved writing secondary characters, but the Knights of the Rainbow became something so special that we commissioned some character art. Given the change, are there any other myths or legends you’d love to write (or read!) a queer retelling of? Oh yes! But we can’t share quite yet because our idea might—possibly/ hopefully—be in motion in the near future. Give readers a rundown of a day in the life of co-authoring this book. What’s the process like when you write something with your partner? 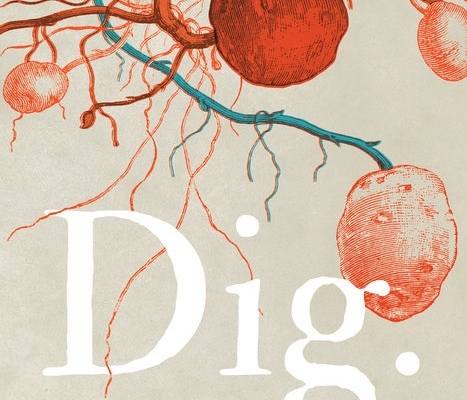 This book required its own process—distinctly broken into two steps. During the first stage, the rough draft/first draft stage, Amy Rose and I took turns writing alternating point of view chapters. While we planned and plotted what would happen in each chapter story-wise, we left it up to the individual writer how the scenes would play out. For stage two, revision stage, we each edited large swaths of the book on our own, and—here’s the moment that might be hard for fellow writers—we did not use track changes. We trusted one another to make the necessary edits, and this worked about 95% of the time. This helped with continuity of stakes and tension, as well as making sure that Ari and Merlin were behaving and speaking like themselves during chapters where they were not the POV character. 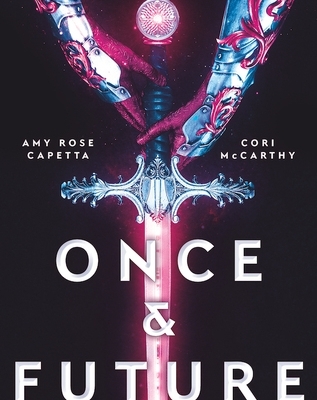 There’s a sword on the cover of Once & Future, but are there any other legendary (or not-so-legendary) weapons we can expect to see in the story? I know readers will love Ari, but you’ve got a great supporting cast as well. Can you sum up each of the main characters with one of their quotes from the book? 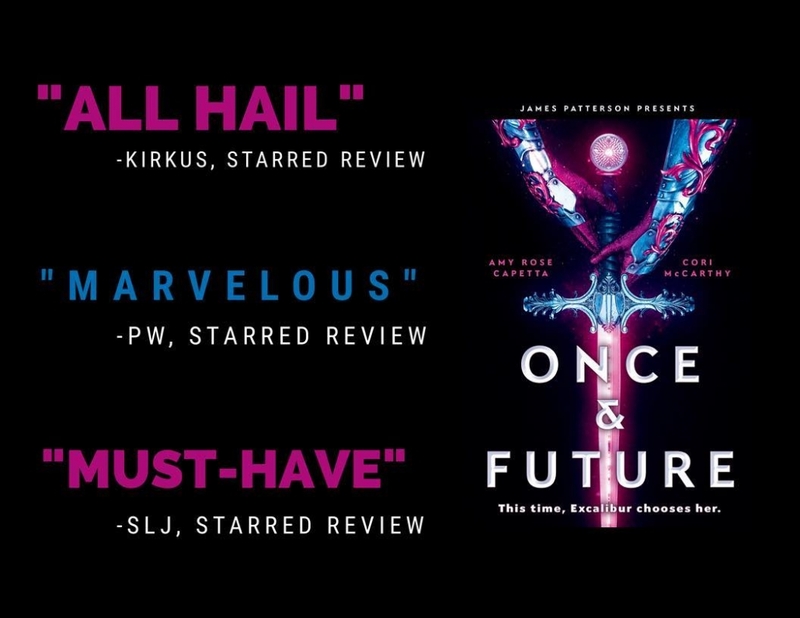 If someone reads and loves Once & Future, what book(s) would you recommend to them while they wait for the sequel? As this is Cori filling out this question, I have zero problem recommending Amy Rose’s Italian-inspired fantasy with its swoony nonbinary love story entitled The Brilliant Death. The sequel to that one will come out about the same time as the sequel to Once & Future. I’m going to get a bit sappy here, but my favorite memory of VCFA is meeting Amy Rose. Yes, we were both in relationships with other people. Yes, we were friends first and weren’t together as a couple for five more years, but I actually remember the very first moment that I saw her. 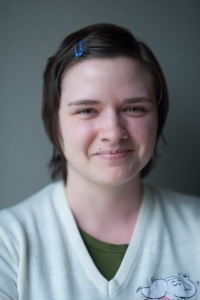 She was standing in the Wine Pit, talking with Eric Pinder about nonfiction nature writing. She was wearing a hat with a rose on it, and apparently—according to Kelly Barson, although I don’t quite remember this *cue blush*—I was tongue-tied and starstruck by the very sight of her. It’s money well-spent for the education, yes, definitely. But to really get the most out of the experience you must acknowledge that you’re there to build community and to learn how to revise. Which is a form of collaboration. A lot of people ask us how we wrote a book together, but in truth, we’ve been helping each other with our books for many years. Writing is solitary, but publishing is about putting heads together. It’s about factoring in the market, agent opinions, editor feedback, your publisher’s needs, your reader’s sense of self, power, privilege, and circumstance. To do this, you must be willing to not only let other voices into your creative space but to thrive while letting other voices into your creative space. 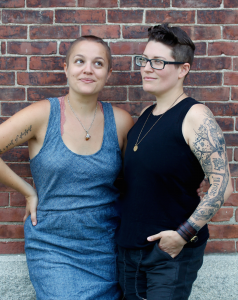 VCFA can help you learn how to do that—and to love doing it. There you have it! Pick up Cori and Amy Rose’s newest book now!